A Former Virginia Beach Prosecutor, Criminal Defense Attorney Afshin Farashahi Has Over 25 Years Of Trial Experience In Criminal Cases. Martindale-Hubbell Peer Review Rating of A.V. Criminal law attorney Afshin Farashahi represents clients in courts throughout the Hampton Roads area, including Virginia Beach, Chesapeake, Norfolk, Portsmouth, Suffolk, Accomack County, Northampton County, and Isle of Wight County. Afshin is also an experienced criminal appeals attorney, representing clients before the Court of Appeals of Virginia and the Supreme Court of Virginia. As a former Virginia Beach prosecutor who has lectured and written on various criminal law topics, he brings broad legal knowledge and experience to his clients’ cases. His trial experience includes cases of capital murder, first degree murder, manslaughter, robbery, assault, juvenile crime, burglary, drug distribution and possession, sexual offenses, firearm offenses, larceny, embezzlement, and fraud. Call Afshin today to schedule a free initial consultation and let him put his experience to work for you. 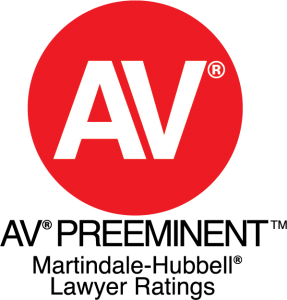 Afshin is nationally recognized in the Martindale-Hubbell® Bar Register of Preeminent Lawyers™ as AV® Preeminent™ Peer Review Rated by Martindale-Hubbell®, the highest possible peer review rating. And for the fifth year in a row, Afshin was recently recognized by Virginia Business magazine as a Legal Elite in the field of criminal law. 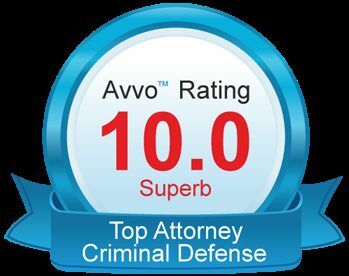 Additionally, he has the highest rating from AVVO, has been recognized as a Top Lawyer by Coastal Virginia Magazine, and has been listed as a Super Lawyer. Afshin Farashahi offers highly skilled representation to clients in matters of criminal law, traffic law (including DUI), and criminal appeals. Serious felonies – murder / manslaughter / malicious wounding — Afshin has tried, both as a prosecutor and as a defense attorney, some of the most complex cases in the Hampton Roads area. His jury trial experience encompasses all types of crimes, including capital murder, first degree murder, manslaughter, malicious wounding, firearm cases, juvenile cases, sexual offenses, larcenies, and drug cases. Drug charges — Drug cases usually involve search and seizure issues. Afshin has established an expertise in this field. He has given presentations on the Fourth Amendment issues and has published articles in this area. Criminal appeals — He keeps abreast of litigation trends and the case law. Afshin’s knowledge of the law, oral advocacy skills, and writing skills make him a formidable appeals attorney to take on the criminal appeals process. Practice in all courts — Afshin handles both felonies and misdemeanors in the circuit courts, the general district courts, and the juvenile and domestic relations district courts. He also handles appeals in the Court of Appeals of Virginia and in the Supreme Court of Virginia. These courts have their own special procedures. You need an attorney who has experience in all these courts in order to ensure effective legal representation. Contact a dedicated Virginia Beach criminal defense attorney today. Call Afshin Farashahi, P.C. at 757-687-8169 today to schedule a free initial consultation, or contact the firm online. Afshin Farashahi is located in Virginia Beach, VA and serves clients in and around Virginia Beach, Norfolk, Chesapeake, Chesapeake City County, Norfolk City County and Virginia Beach City County.